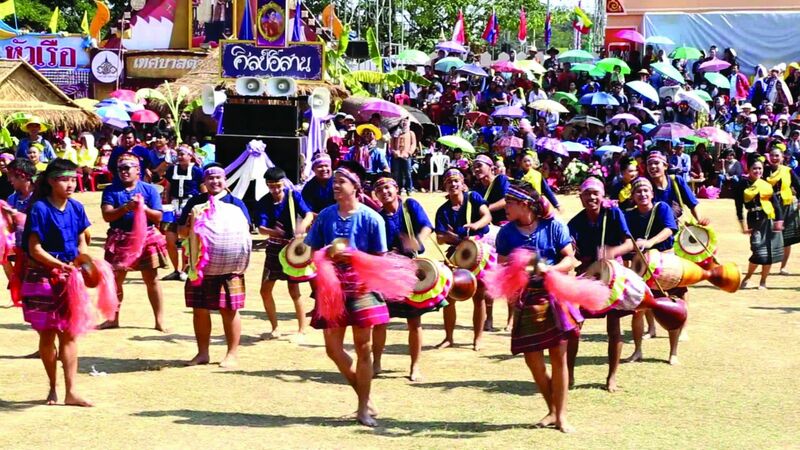 Since its inception in 2002, the Ministry of Culture has upheld Thai culture and traditions, not only in the local community but at international level. But the ministry is not only responsible for safeguarding and displaying Thai culture. 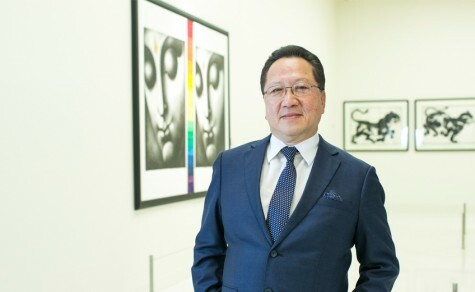 According to Culture Minister Vira Rojpojchanarat, the young ministry broadly oversees culture, religion and art in Thailand and makes sure they integrate naturally and effectively in modern Thai society, ensuring the country’s heritage remains alive and thriving through Thailand’s pulsating digital era. The minister of culture sat down with Elite+ to speak about the importance of culture in national growth, the role of culture in the ASEAN Community and the emergence of creative culture in Thailand. There is no fixed definition of culture. Every dictionary, every country and every age and time has a different definition of the term. In essence, I think culture is a cluster of civilization accepted by the majority of a society, which shows in the people’s way of living. Culture could also refer to heritage, things we created in the past that still have impact and significance in our society today. So culture can be both tangible and intangible. Now in this era, we also have creative culture, i.e. new culture that we recently created, on top of our historical heritage. 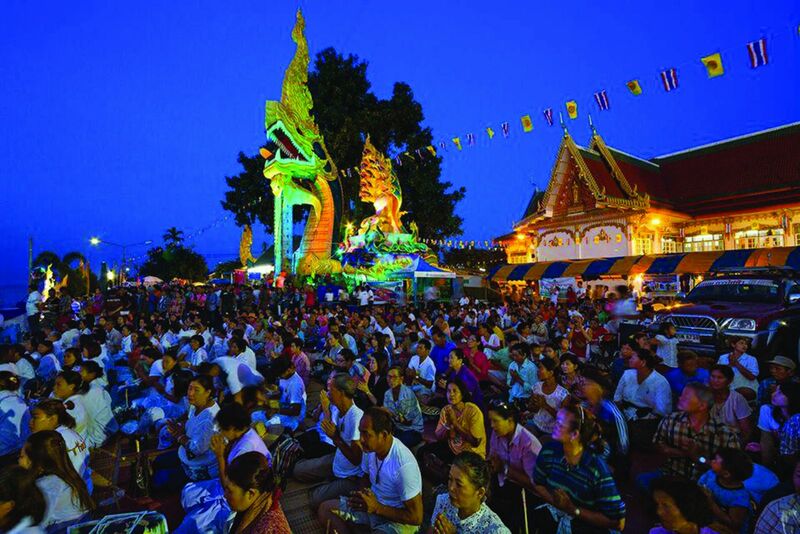 How does the ministry plan to use Thai culture to drive the country forward? There are three dimensions that can be enhanced, improved and developed by culture. One is the people. Culture can equip people with savvy and know-how to adapt and thrive in a fast-changing world. Second is that, with the presence of culture, society can become more empathetic, tolerant and compassionate, bringing about people’s well-being and happiness. Culture can generate income to support both the people and the society. Culture can bring about income for the people to sustain a living and create wealth for the country. For a long time people think of culture as merely an aesthetic – something beautiful, historical or as a nation’s pride to admire, and nothing more. But culture can be created into something profitable and beneficial to the people and the society they live in. Many countries around the world have started using culture to drive their countries, take for example France, Italy and South Korea that export cultural products and earn income. These products include things like films and performances that go beyond our old and dated perception of what culture can do or become. This is why Thailand needs to have a Ministry of Culture to oversee this aspect. The last dimension in driving the country forward that culture can contribute to is fostering relations with more than 200 countries in the global community. Thailand is known for its rich and unique culture. We can use our historical values, our marvellous traditional cuisine and our unique way of living to build our integrity in the global community and thrive. What strategies has the ministry implemented so far? Using culture as a tool to drive Thailand forward is not only the responsibility of the Ministry of Culture. This is work that involves a lot of external parties, including effort from both the government and private sectors. The government is no longer going solo without help and support from the private sector. Generally, it’s a team effort. For example, in the first dimension that I mentioned, i.e. the people, a lot has to do with 12 Thai values issued by Prime Minister Prayut Chan-o-cha. We cannot impose all 12 values on every Thai citizen at once, so for the last three years we have been instilling one or two over a period of time for the ideas to slowly and firmly penetrate the people’s daily life. Recently we focused on “honesty”, “maintaining discipline”, “living self-sufficiently” and “considering the greater good”, with collaborative effort from both governmental offices and private organizations. We made a song with all 12 values and have it performed by popular musical artists on national TV to create wider awareness. It may sound intangible and hard to measure, but we did find a way to evaluate these values. For being kind and compassionate towards others, the Department of Cultural Promotion, under the Ministry of Culture, has created a new short programme that takes you to various cities in Thailand and tests the citizens in staged circumstances to see their reactions. For example, the programme went to Nakhon Ratchasima and staged a small accident to see how many passers-by would stop and help. Those that came to help later received an honorary plaque from the PM’s office. You will see this programme on TV very soon and you will understand our work. Very soon we will start giving awards and recognition to organizations, communities and provinces with outstanding moral standards to inspire and motivate others. The selection process has already begun nationwide. Other initiatives include Sunday Buddhism school for youths and the phenomenally successful “New Year’s Prayer”, where people go to participating temples of their choice and pray together from New Year’s Eve well into the new year. A lot of the initiatives target children and youths. How would the ministry like to see the new generation of Thais? We want them to have both Thai and international values, because Thailand is not isolated from the global community. Thai kids should know the history and traditions of their own country and integrate into Thai culture and surroundings. 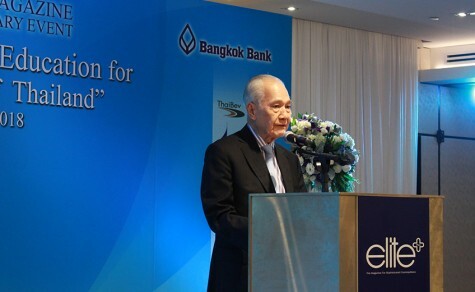 At the same time, we want to have technology know-how to access information and knowledge from beyond Thailand. We are in the process of researching and preparing a 20-year plan to have Thai children play at least one musical instrument, Thai or international. We are all aware of the benefits of music and if we could entice the young to become more interested in music, preferably Thai traditional music, it would be ideal. Now we are collecting data and information from schools all over Thailand regarding their readiness to implement this plan. Thailand has always wanted its citizens to adopt a “lifelong learning” mentality, mainly from reading. It has been hit-and-miss with the previous reading promotion campaigns because there has been no concrete and practical campaign. Soon we will release a master plan which is a collaborative effort between us, the Ministry of Education and the Ministry of Interior and several other smaller organizations, to be approved by the cabinet. We will focus on development and improvement of reading materials, facilities such as schools and libraries, reading promotion activities and collaborative efforts from the private sector and the public. Soon when you donate to cultural-related campaigns or facilities, you will be entitled to double tax deduction. Also, all books, materials and media whose copyright previously belonged to the government are now freely accessible to the public. There are e-books and other digital forms that you can download for free. The prime minister and ministry both seem to focus on national history and heritage. Will there be any new museums or learning centres? We are renovating the Thailand Cultural Centre with a new theatre. Also, a new contemporary art gallery will open in 2019. We aim to make Thailand a hub and knowledge exchange centre for art, with a cultural library and meeting and seminar facilities. This will be a good opportunity for Thais to learn about their own culture and for the world to see what Thai culture is all about. We have the Supreme Artist Hall to honour His Majesty King Bhumibol Adulyadej in Rangsit Khlong 5. There are also the National Archives in honour of His Majesty King Bhumibol Adulyadej, and National Geological Museum, where Her Royal Highness Princess Maha Chakri Sinrindhorn presided over the official opening. Apart from that, we also have massive storage for artefacts that can accommodate more than 300,000 heritage items, where they are tagged, categorized and safely stored in a specific controlled environment. 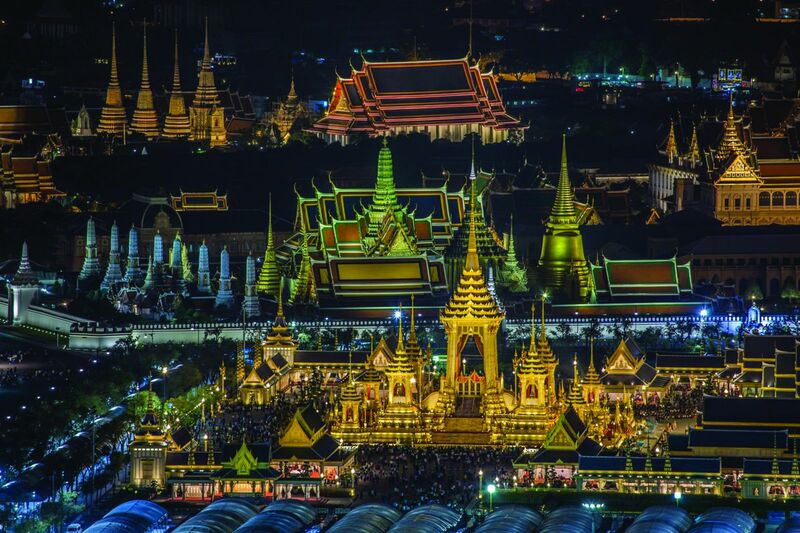 Phra Meru Mas – the Royal Crematorium of HM the late King Rama IX – once the display period at Sanam Luang is over, will be transported here for display. We also have smaller museums of specific interests that will make up a list of more than 10 as of now. Our 20-year plan is to make this area a learning centre, like the Smithsonian Museum in Washington DC, where students and anyone who wants to learn from Thailand and all over the world can come and take advantage of the diverse and comprehensive resources on offer. What is Thailand best known for in the global community? In terms of heritage sites, we bo ast five sites inscribed in the World Heritage List. 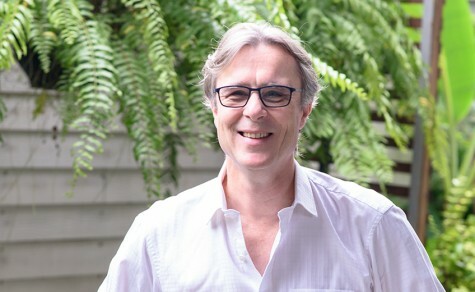 I think Thai cuisine is world-renowned and something we can all agree is unique and ever-popular in the global community. Whenever there is a ranking, Thai food is always in the top five and there are more than 17,000 Thai restaurants all over the world. Why is Thai food so unique and attractive? Personally, I think it’s because we have a long history that is closely related to the monarchy. Instead of cooking mundane dish after dish, those in charge of the royal kitchen had to be constantly creative. In Thailand, we had someone like Marie Guimar serving as cook for King Narai the Great’s kitchen during the Ayutthaya Period, creating an array of Thai desserts with Western influence. Food has always been a big part of Thai people’s life and it evolves constantly. In January we will launch a festival, “100 Years in Thai Food”, at CentralWorld Plaza to celebrate the historic and yet relevant Thai cuisine. You’ll find Thai dishes that have been around for more than 100 years and you can be sure they are delicious, otherwise they would not have stood the test of time! Promoting Thai food comes, again, from teamwork. 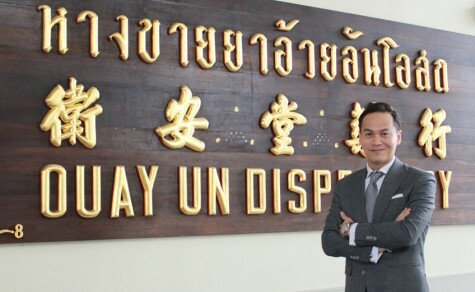 The Ministry of Commerce has given “select” plaques to guarantee authenticity and quality of Thai restaurants in foreign countries. The Ministry of Tourism and Sport recently had the first edition of the Michelin Guide Bangkok, while the Ministry of Industry is working hard to maintain the quality of Thai food through the food industry. Another aspect of identity that I think is well known is Thai boxing or muay Thai. Other countries in Southeast Asia have boxing too, but boxing from Thailand is known across the globe. Also the royal ceremonies, such as the royal ploughing, the royal barge procession and the recent royal cremation, have become something unique and rare in the global community. 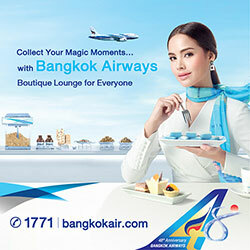 Thai traditions and way of life are key elements of Thai culture that the world recognizes. People around the world know what Songkran and Loy Krathong are about. Thais know how to integrate ancient traditions in their modern way of life without tampering with the spirit of the traditions. Look at the Loy Krathong festival. Nowhere in the world can you get these many different styles and aesthetics stemming from one tradition. 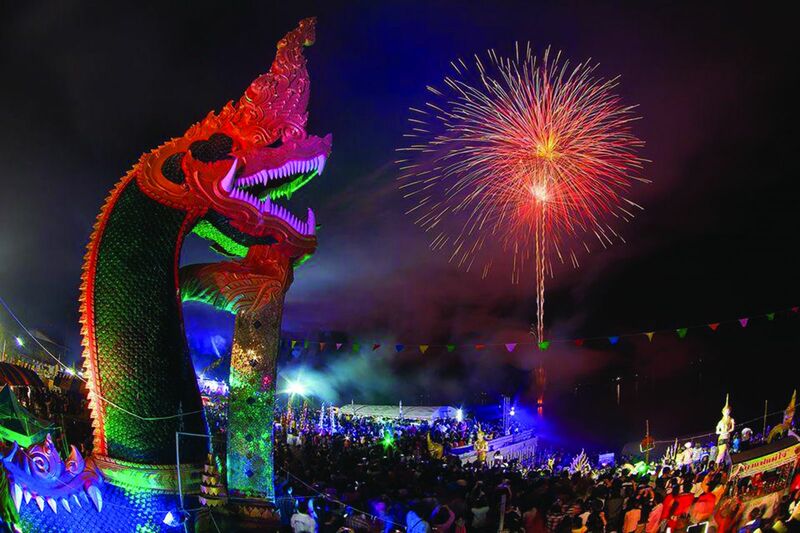 There are traditional festivals in every month all over Thailand and they can become profitable cultural products. The US News & World Report ranks Thailand at No 17 for cultural influence and No 7 for heritage. How do you see your role within the ASEAN Community? Thailand is the first and so far only country with an ASEAN Cultural Centre, opened in 2015. 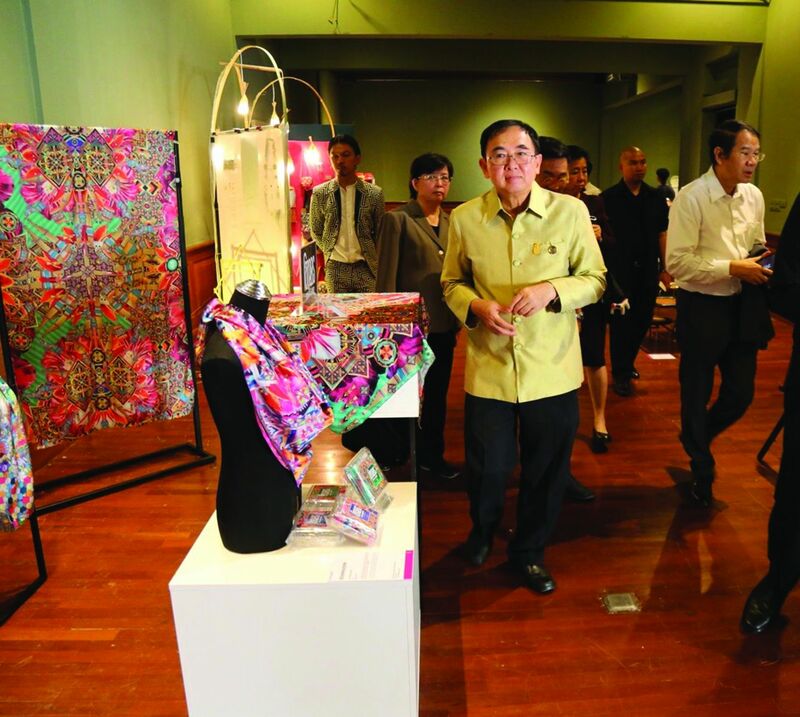 And it has since become a learning centre for ASEAN cultures. Our role is to help Thailand integrate in the community and strengthen the relationship with the member countries even further. ASEAN comprises countries that are diverse in culture, religion and language, which could be a challenge to the regional integration. We strongly believe that culture can bridge these gaps and create mutual understanding with other countries in the ASEAN Community. That’s why we established the ASEAN Cultural Centre to educate Thais about ASEAN and most importantly get to know our neighbours better. 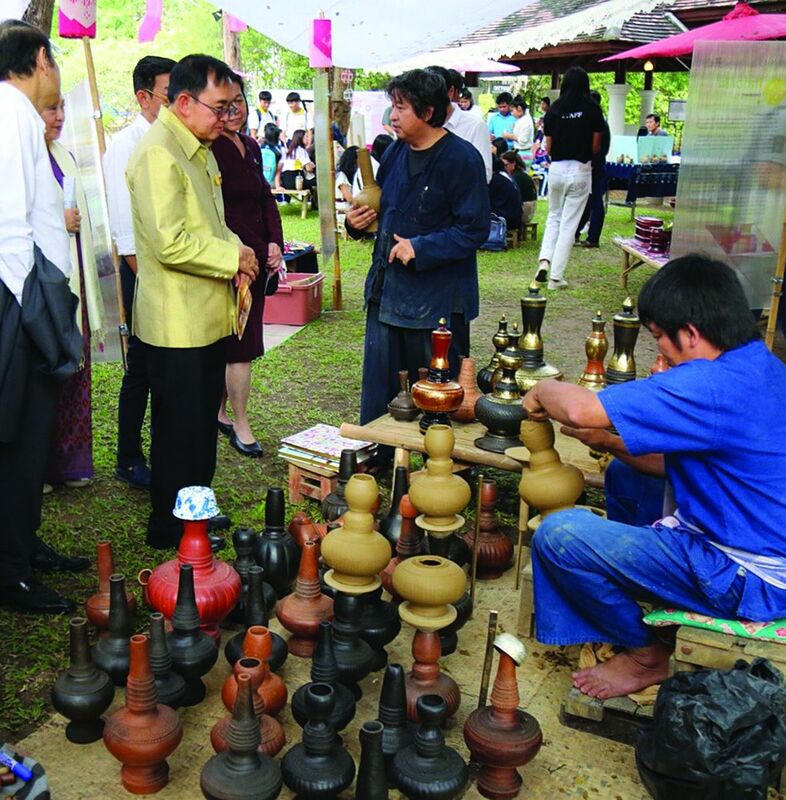 We organize ASEAN Cultural Festival/EXPO annually in April, where cultures from ASEAN countries were extensively displayed, exchanged and appreciated. Earlier in April and May we had the Bangkok ASEAN Film Festival 2017 to celebrate 50 years of ASEAN. In 2019, we plan to announce ASEAN Culture Year to further emphasize the importance of culture in fostering our relationship. We have already reached out to the ASEAN countries and asked for their support and collaboration. Where is Thailand’s creative culture heading? It’s a known fact that for a country to have a glorious culture, it costs money. Look at China and Ayutthaya in the past. They could afford to have the grandest monuments and palaces, and chedis made of pure gold. But it is not quite so in this day and age. A country that can foster creative culture does not have to be rich, but it should have a rich culture. You need cultural resources to develop, to add on and thrive from. 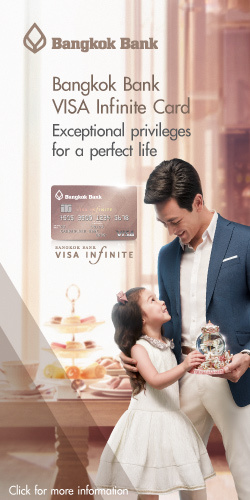 Thailand might not have a lot of money, but it does have a vast and diverse pool of cultural elements to draw from, and that I think is a unique and great advantage. Currently there are five Fs that we are focusing on in terms of creative culture: food, fights (Thai boxing), films, festival and fashion.